The magnificently coloured Bushy rainbow wrack Cystoseira tamariscifolia covered in green Snakelocks anemones Anemonia viridis. In the foreground the pink Slender-beaded coral weed Jania rubens and Harpoon weed Asparagopsis armata. 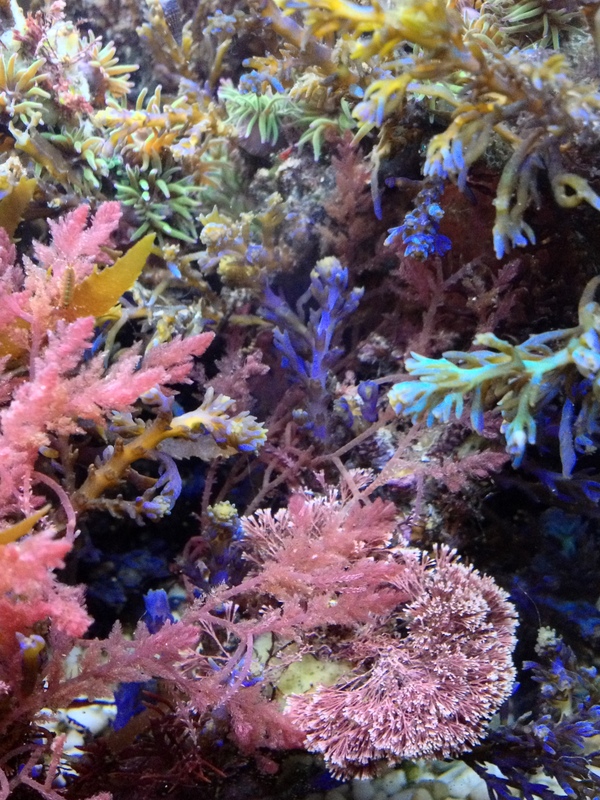 A close-up of the Bushy rainbow wrack. Other plants were bright green or purple. 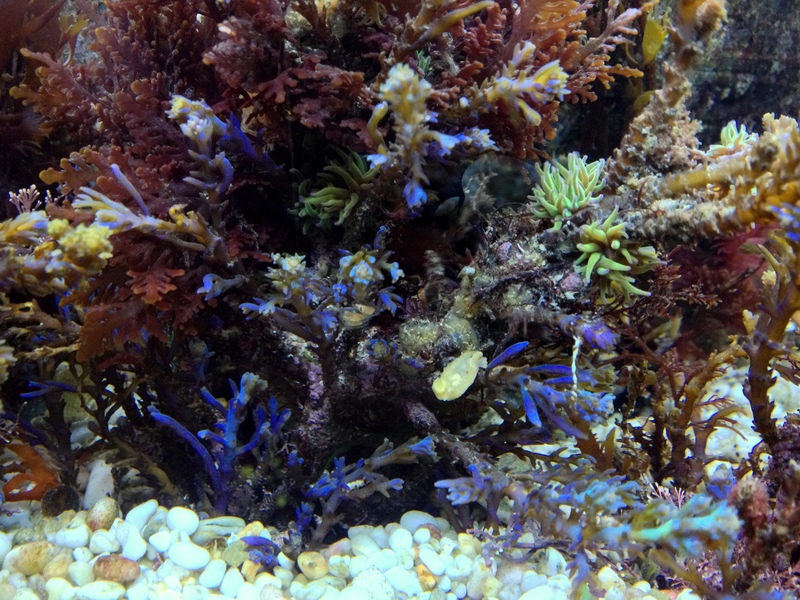 I never knew that seaweeds existed with these iridescent colours. In fact, when I glimpsed one for the first time in a rock pool I disregarded it because I thought it was some seaweed covered in oil slick! These weeds are also have a very cartilaginous texture which give them more of an animal-like appearance. I discovered several small whitish Sea lemon nudibranchs Archidoris pseudoargus, very cool. This entry was tagged Anemonia viridis, Asparagopsis armata, bushy berry wrack, Bushy rainbow wrack, Calliblepharis jubata, Cystoseira baccata, Cystoseira tamariscifolia, Dudresnay's whorled weed, Dudresnaya vertillicata, False eyelash weed, Gastroclonium ovatum, Harpoon weed, Jania rubens, Red grape weed, Sargassum muticum, Slender-beaded coral weed, snakelocks anemone, wireweed. Bookmark the permalink. 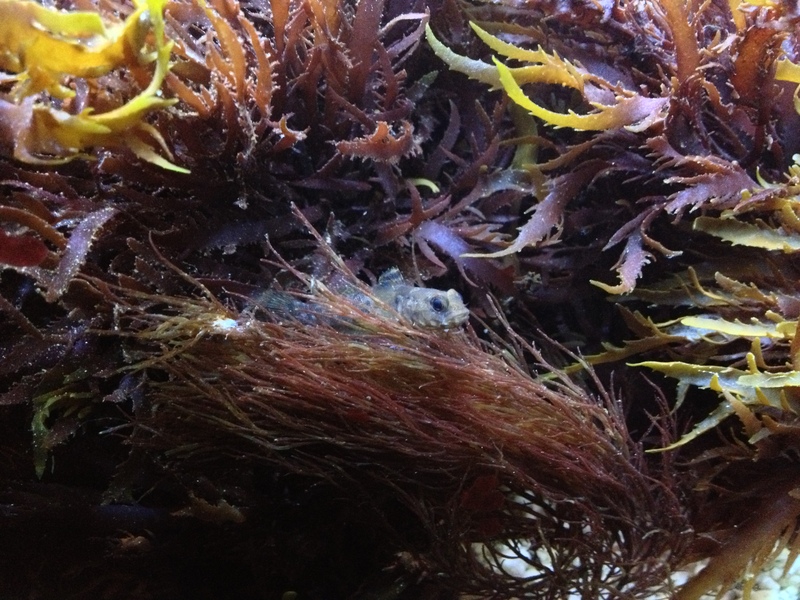 hi there, I love the photos – its amazing the variety of sea weed species you can find in Cornwall. 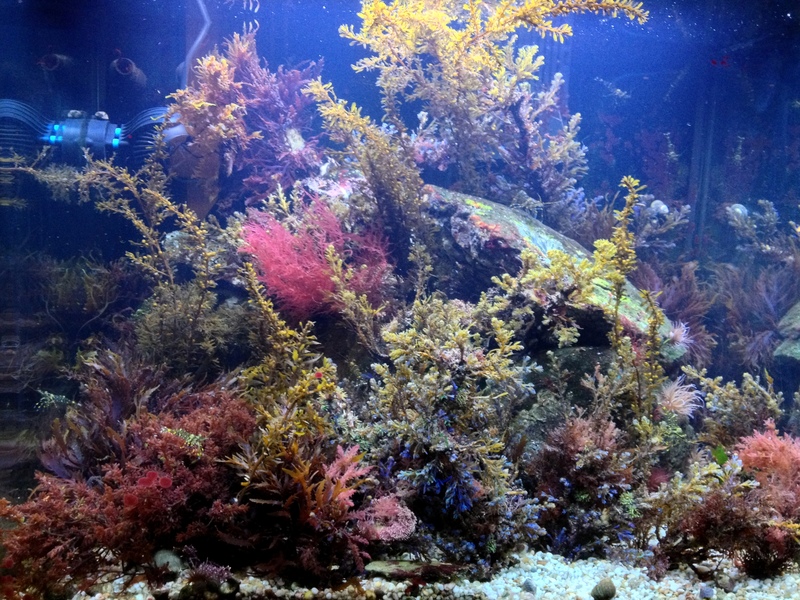 I would love to hear more about how your tank developed – did some speicies thrive and did some die off? 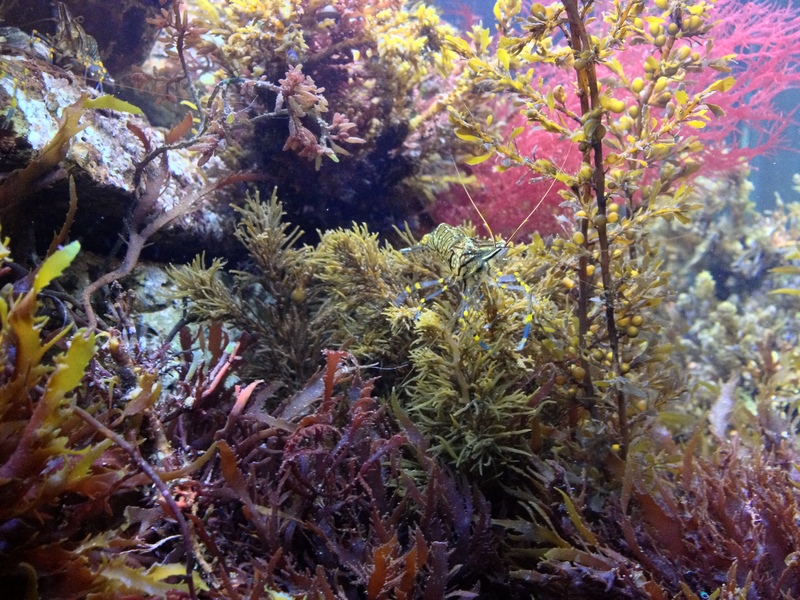 From my experience working as curator at blue reef aquarium I know that sargassum weed is very hard to keep alive in a tank but I have to admit Ive not tried speices like false eyelash weed and rainbow wrack and I am intrugued to find out how you got on- also what filtration / chilling were you runniing on the tank and what lighting did you use? 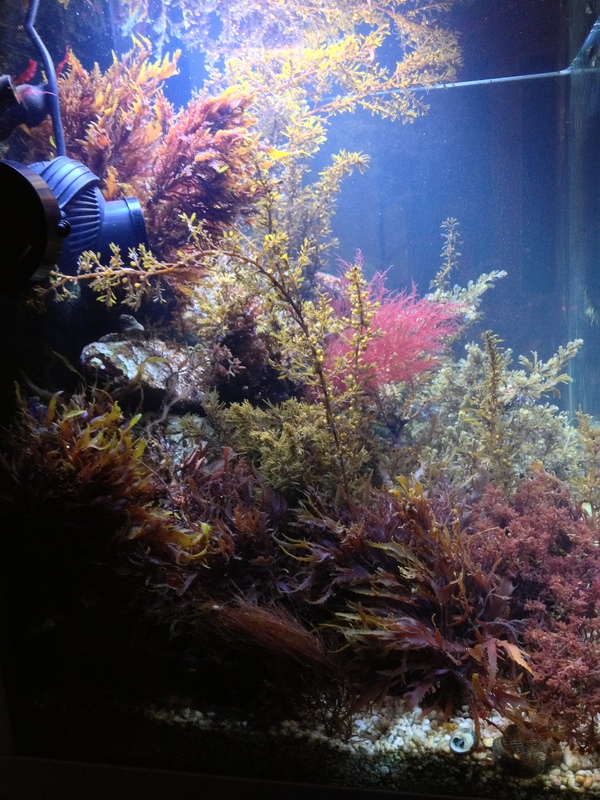 I have always loved codium – green finger weed – does really well in a native tank..
yes, it is very hard to see on the picture, thanks for having a look. Will hope to find more seaslugs in the future and post about them on the blog (I have an old post on Elysia viridis as well btw). 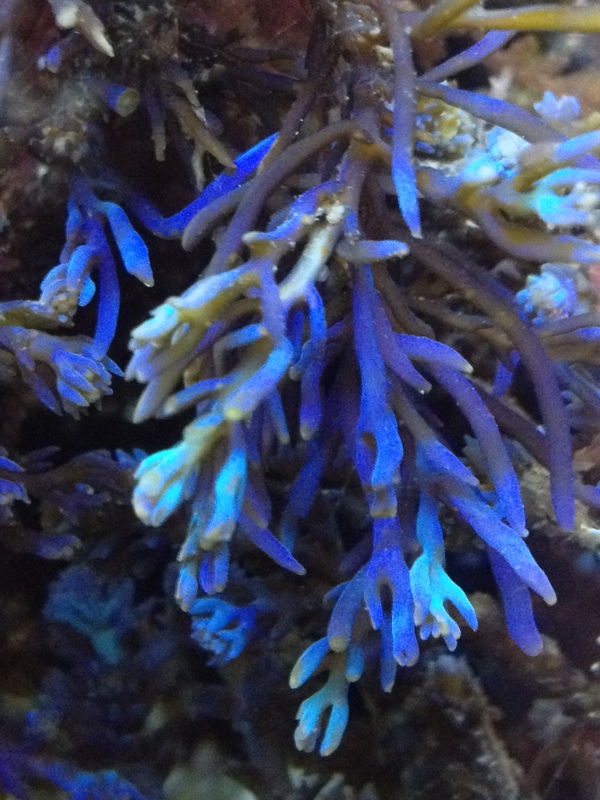 Hi, I’m very interested in the Cystoseira tamariscifolia and am looking for images (video would be amazing) of it changing from brown to blue and back again by being submerged. I know this species dies very fast (having known of a few failed attempts to cultivate it) and have been meaning to get to Cornwall to investigate it further. Your pictures are fantastic and was wondering if you had any more close up / videos of bringing it out of the water. I would be very interested in talking to you about cultivation tips too!